Our mission at SecretPenguin is: To make communities better… and more fun. This is the reason why we do things each day. It’s easy to say, but how do we live this out? Contrary to our mission, community is last on our priority list. The reason is – if we’re thinking long-term about a community, we need to think long-term about having a healthy workplace with healthy people. This is not in a selfish way. It’s harder to take care of others if you’re not healthy. So, we prioritize each individuals’ mental, physical, and spiritual health – whatever any of that means for each individual. We will do our best to plan projects and have an environment that supports this priority. Relationships play a big part of happiness and healthiness. A study from Harvard found that healthy relationships result in healthier people. If we’re healthy and our relationships are healthy, then it’s easier to focus on work when we’re at work. I used to put work before family. Years ago, I’d go into work at 4am and come home at 9pm. In my mind, I was doing it for our family – but my wife said, “It feels like we don’t have a family.” It put things into perspective. If needed, I know I can outwork a problem – but over the past 7 years since having our first kid, I’m doing better at working smarter. When working such long hours, I got lazy about working smarter because I’d fill those long hours with work (Parkinson’s Law – work expands so as to fill the time available for its completion). 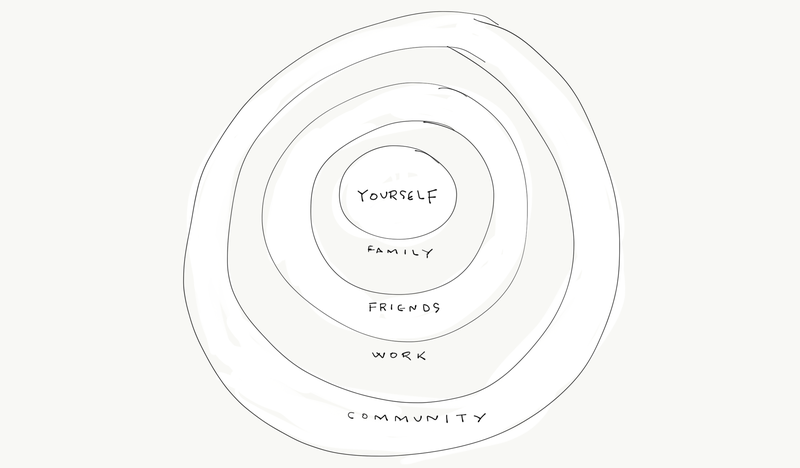 And, last is community – only because it’s a result of all-around healthiness. • We’ll be around longer to make a bigger impact. • We’ll have more time outside of work to volunteer in the community. • For those with kids, we’ll have more balance to focus on raising our kids to be good stewards of the community. This is our framework of how we prioritize at SecretPenguin. We’ll never be perfect, but we’ll do our best to be healthy – and to me, that feels perfect. If you found this article interesting, sign up to be notified of the next one!